How Do Web Browsers Verify Website Identities? You’ve probably noticed that some Internet browsers like Firefox and Google Chrome now display verified company information to the left of an encrypted web address. This is an easy way to show that the website has an extended validation certificate, indicating that the site’s identity has been verified. An extended validation (EV) certificate will not provide any additional encryption strength to a website. Instead, it shows a user that extensive verification of a website’s identity has already taken place. 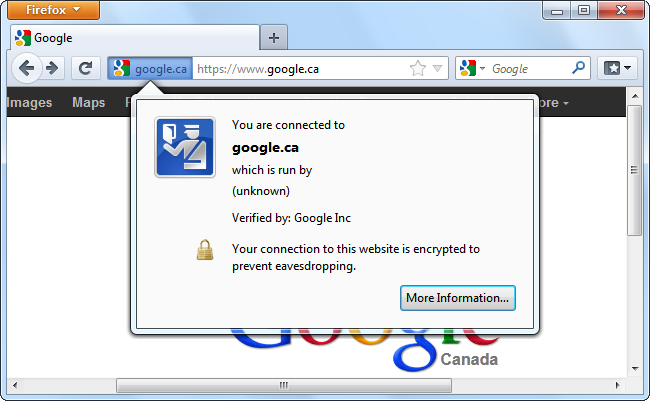 Google Chrome won’t display anything special indicating that the website’s identity was verified by the certificate authority that issued the website’s certificate. When you’re on a website that uses an EV certificate, Firefox let’s you know that’s operated by a specific organization, and that information has been verified. 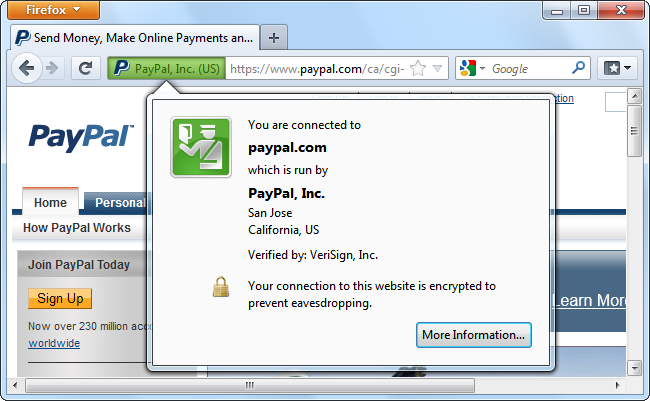 According to this dialog, VeriSign has verified that we’re connected to the real PayPal website, which is run by PayPal, Inc.
Then when you’re connected to a website that has an extended validation certificate in Google Chrome, the organization’s name appears in your address bar. 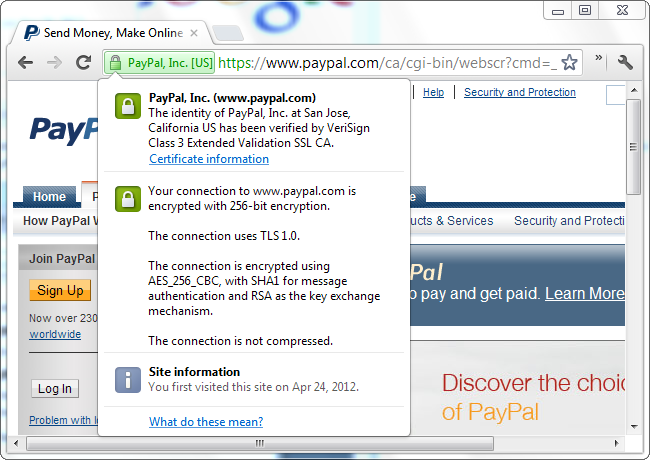 The information dialog tells us that PayPal’s identity has been verified by VeriSign using an extended validation certificate. 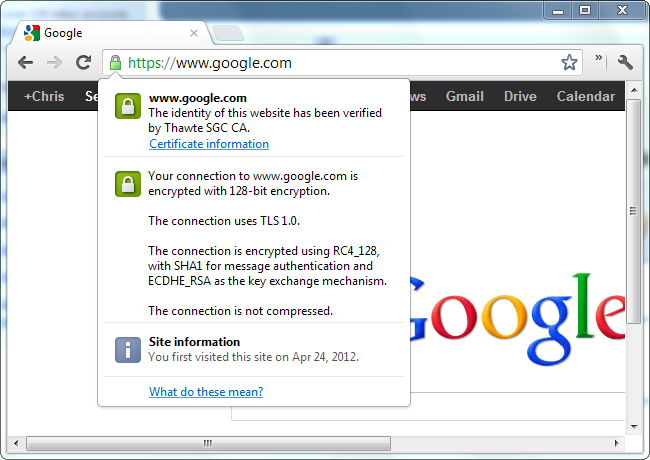 Standard SSL certificates provide very little verification of a website’s identity. Many years ago, certificate authorities would verify a site’s identity before issuing a certificate. The certificate authority would check that the business requesting the certificate was fully registered, call the phone number, and verify that the company was a legitimate operation that matched its website. Eventually, certificate authorities began offering “domain-only” certificates. These were a lot cheaper to get, as it was less work for the certificate authority to quickly check that the requester own a specific domain. Phishers eventually figured out ways to take advantage of this. For example, a phisher could register the domain paypall.com and purchase a domain-only certificate. 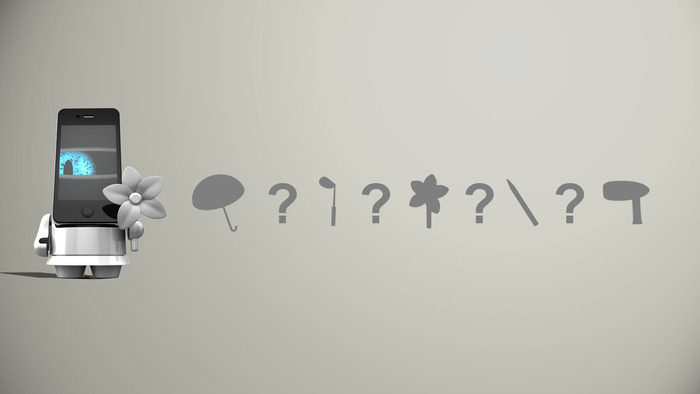 Whenever a user visited paypall.com, the web browser would display the standard lock icon, providing a false sense of security. Web browsers didn’t know the difference between a domain-only certificate and a certificate that involved the more extensive verification process of a website’s identity. As a result, public trust in certificate authorities to verify websites has fallen over the years. An extended validation certificate shows that a certificate authority has verified that a website is operated by a specific organization. For example, if a phisher tried to get an EV certificate for paypall.com, the request would be denied. Unlike standard SSL certificates, only certificate authorities that pass an independent audit are permitted to issue EV certificates. The official Certification Authority/Browser Forum (CA/Browser Forum), a voluntary organization of certification authorities and browser vendors such as Mozilla, Google, Apple and Microsoft provide strict guidelines that all certificate authorities issuing EV certificates must abide by. This prevents certificate authorities from running another program where they utilize lenient verification practices to offer cheaper certificates. 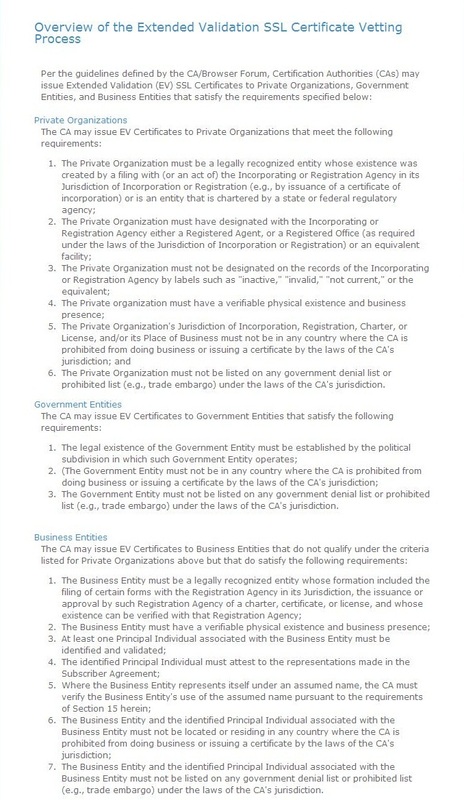 The guidelines set by the committee demand that the certificate authorities verify the organization requesting the certificate is officially registered itself, that it owns the domain in question, and that the person requesting the certificate is in fact acting on behalf of the organization. This involves checking through government records, contacting the domain’s owner, and contacting the organization to verify that the person requesting the certificate works for the organization. Extended validation certificates are, fundamentally, an attempt to restore public trust in certificate authorities and restore their role as gatekeepers against imposters and identity theft. 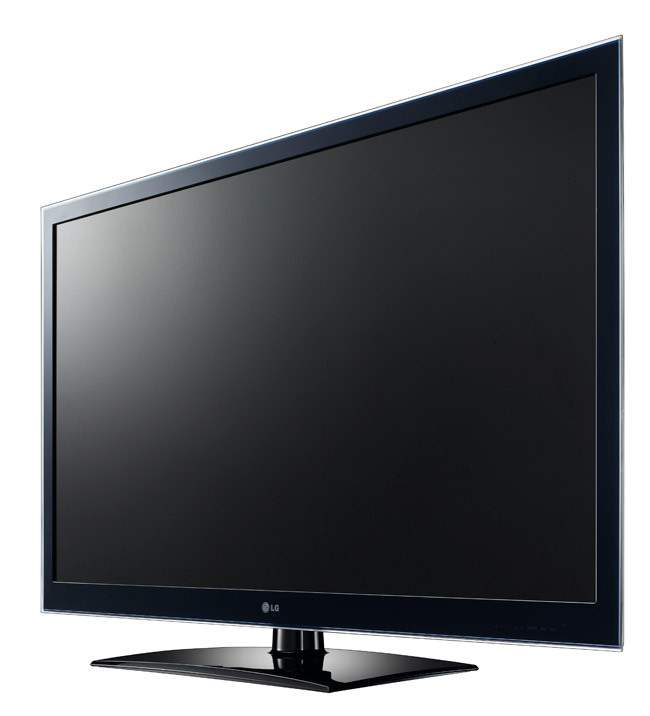 An LED TV is in fact a type of LCD TV. The only real difference between the two are their backlights. 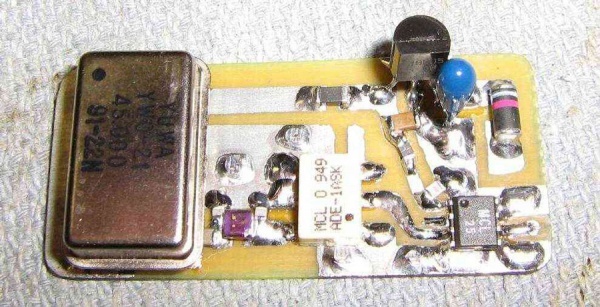 Instead of using an LCD TV’s compact fluorescent backlight, and LED TV is outfitted with tiny, efficient, ultra-bright light emitting diodes. Not only are these displays impeccably vivid and bright, but they are also more energy-efficient and can be exceptionally thin because of the small size of the LED itself. Although LED backlit TVs are more expensive overall, they generally offer far better contrast and inkier blacks. It would seem that as soon as we all were getting settled with our LCD TVs, along came the LED TV to make things even better. While LED TVs, both edge-lit and full matrix, might have their own set of unique disadvantages, most tech professionals and users agree that overall, the very best LCD TVs on the market use LED technology. 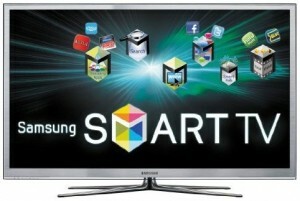 So with that in mind, we’ve taken a look at all of the major LED TVs to come out this year and compiled this year’s list of the top 3 LED TVs of 2012. Enjoy! 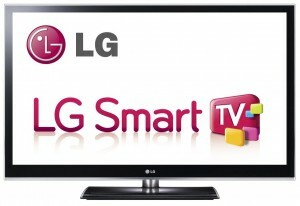 The LG 47LW5600 brings a top-notch digital 3D display to an affordable price range using its passive glasses technology. You’ll be getting the LED panel, a swivel stand and eight Phillips screws to put the two together. We were a bit surprised at how lightweight the stand really was, but as long as it met safety standards, the lighter, the better! 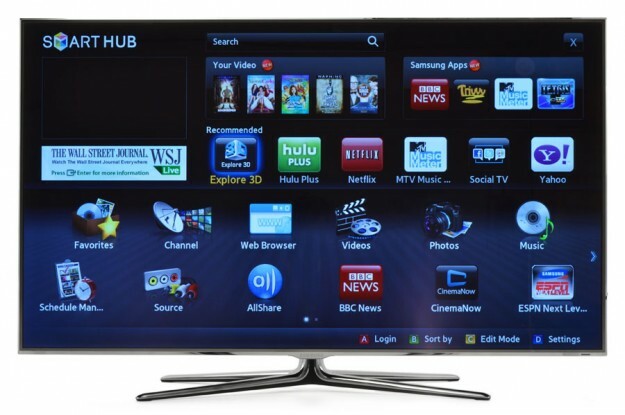 The LED TV also comes with four 3D glasses, a wireless network adapter, and two remote controls. The first is a standard remote with backlit buttons and the second is a Magic Motion remote with a strap that resembles a kind of Wii game controller. Finally, you’ll also have an owner’s manual as well as a digital copy too. Once we got everything assembled, we connected a standard 3D Blu-Ray player and watched Avatar in 3D for what seems to be the gazillionth time. Based solely on outward appearances, the 47-inch LG 47LW5600 is just like any number of black-edged flat panel HDTVs, but it does have pretty sweet translucent edging. The screen is framed by a black bezel, so it doesn’t have the nicer floating pane of glass look that are popular with the premium LED TV sets. But even then, the overall look is more than acceptable by our standards. Along the lower bezel is the 3D emitter, touch buttons for controls (you’ll probably never use), in addition to remote control and intelligent auto light sensors that dim the display when no one is around to watch the TV. Down-firing stereo speakers at the bottom of the panel are rated at 10 watts apiece, but it lacks the subwoofer you usually would find in the high-priced models. 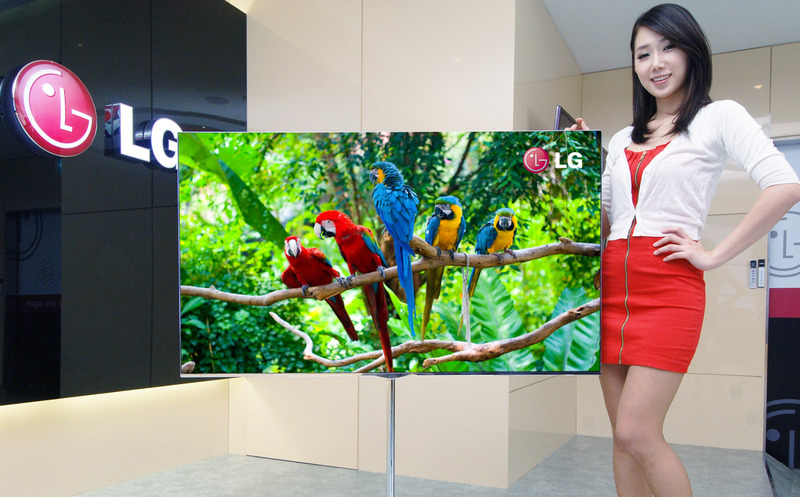 This LG HDTV model measures 43.9 x 26.9 x 1.2 inches and weighs 40.8 pounds. On the left side of the set is a jack pack offering two USB inputs and four HDMI inputs. 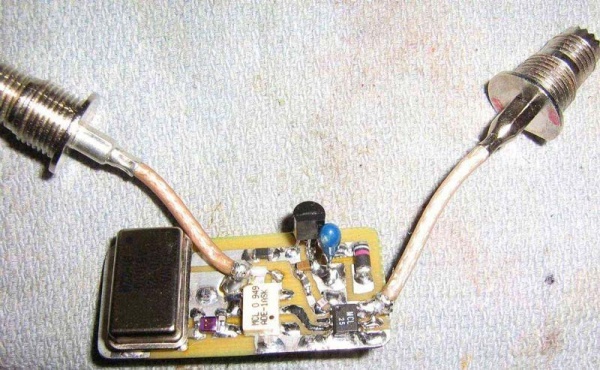 The back has the usual component, A/V, RS-232C, RGB-in Ethernet and other connections that should cover all the various gadgets you’d want to hook up to a TV without any issues. The only noticeable thing left out was an SD card slot that would have been handy for photographers. 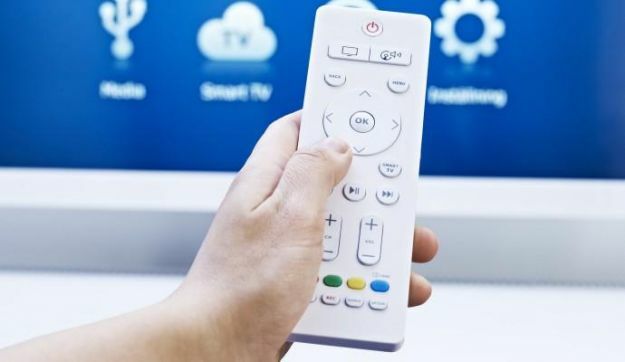 One of the latest controversies to come out of the tech world lately seems to be the battle between active and passive 3D HDTV technology. LG, Vizio, and Toshiba jumped the passive boat, while almost all the other major HDTV manufacturers stayed with the active shutter glasses system. 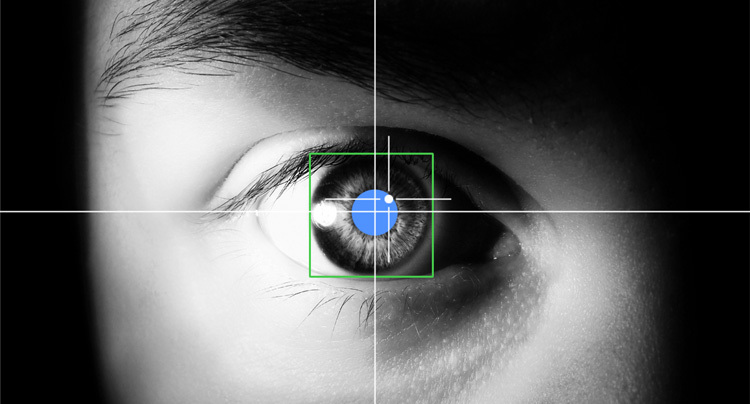 The active-shutter system, also known as “Full HD” 3D technology, does have a higher quality 3D image, costs a whole lot more, and requires expensive, heavy 3D glasses. On the other hand, the passive system uses cheaper and lighter 3D glasses just like the pairs you get at your local movie theater. 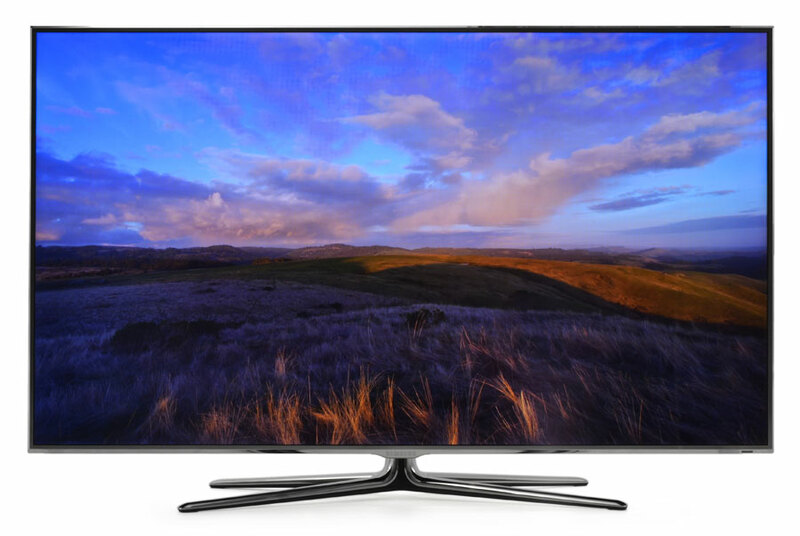 The HDTV itself also costs a lot less, but finely-detailed 3D resolution isn’t really as good. 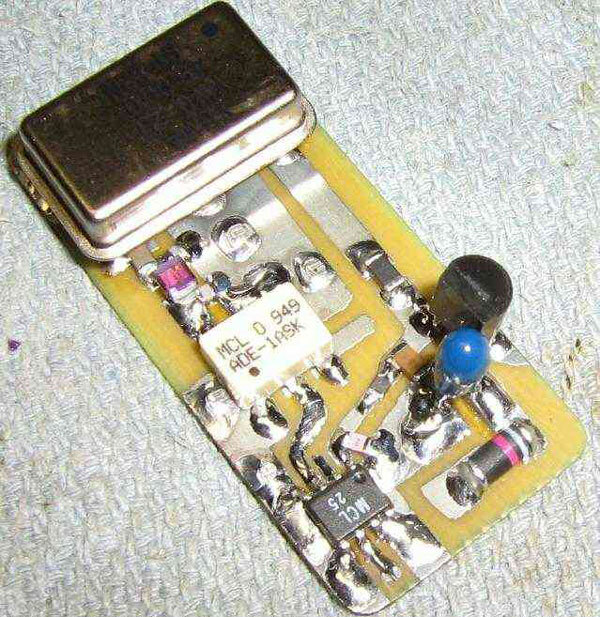 The technology is known as “Film Patterned Retarder”, or FPR. LG refers to this passive 3D tech as “Cinema 3D”. You can do your own research into FPR technology, but basically from what we gather passive just lets you watch 3D at home for a far better price. The LG 47LW5600 is a 1080P 120Hz HDTV featuring Led Plus with something called “local dimming” – LG’s term for ledge-lit Led backlighting with 12 addressable segments for the 47-inch edition. We’ve like the results of this technology versus traditional CCFL LCD TVs since it’s narrowed the quality gap with plasma displays, which still remain on top. 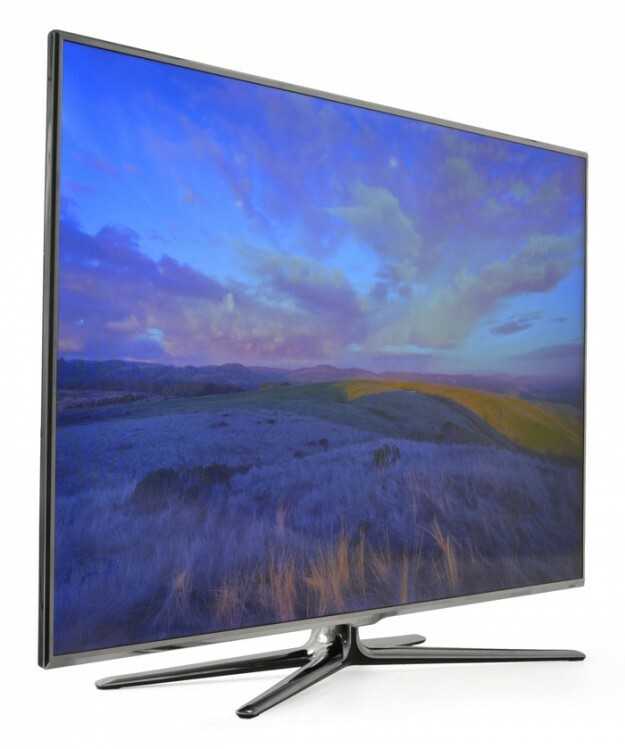 Black levels, contrast and color rendition are improved with this TV’s LED technology. The panel is a whole lot lighter and thinner as a result, while energy-efficiency is a whole lot better too. The main remote control is pretty straightforward, with a backlit button layout that’s made just for basic television controls. Although the LG 47LW5600 doesn’t have official THX certification, the HDTV has two ISFccc settings so that you can use the Picture Wizard II to calibrate your TV set. We checked out the standard and cinema modes too, while the Intelligent Sensor setting adjusts parameters for ambient room light. The set also comes with a Magic Motion controller that acts as an almost-buttonless remote for navigating through menus. The menu display itself is decent, not having anything particularly bad or good to say about it. As soon as the Magic Motion controller is synced, a cross will appear on your TV screen when you aim it at the display, acting kind of like a computer cursor. Sitting back about 2 meters from the screen, we watched scenes from Avatar on the LG Cinema 3D. What’s cool about the 3D glasses is that you don’t have to turn them on at all, or worry if they’re functioning properly or have enough power for a long viewing. Also, the surrounding room doesn’t completely dim which occurs when active shutter technology kicks in. This subtle darker look is not anything to worry about, just a little different. What’s really cool is that the flicker-free LG glasses are extremely lightweight, comfortable and there are no problems about recharging the glasses or changing batteries. Not to mention they’re very cheap. You could even use those Real3D glasses you use at a movie theater. All of our doubt about the passive 3D technology disappeared as soon as we began watching the opening menu scene of the Avatar 3D Blu-Ray. It really looked great – crisp and eye-popping. 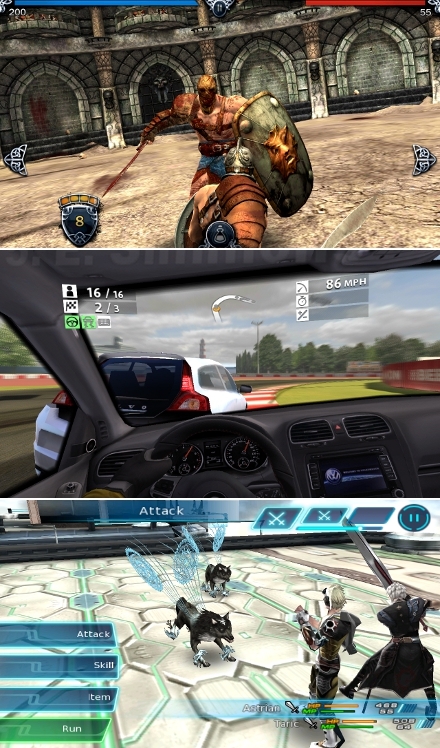 Skipping through to take a look at the more action-oriented scenes, we have to admit being very much impressed by the arrows, bullets and gas canisters popping off the screen. The only downside is that just like at the movie theater, you can’t move around with the lighter glasses and still watch the 3D. The effects get all jumble as soon as you move your head a lot to the side. Sure, the effects weren’t as good as the pricier 3D LED TVs we’ve seen, but the shear price difference as compared to quality is just outstanding. 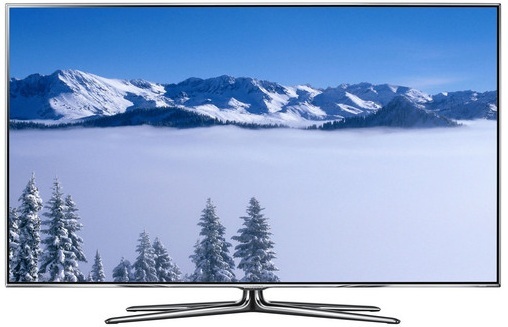 And that’s why it’s made it in at number 5 at our list of the top LED TVs of 2012. 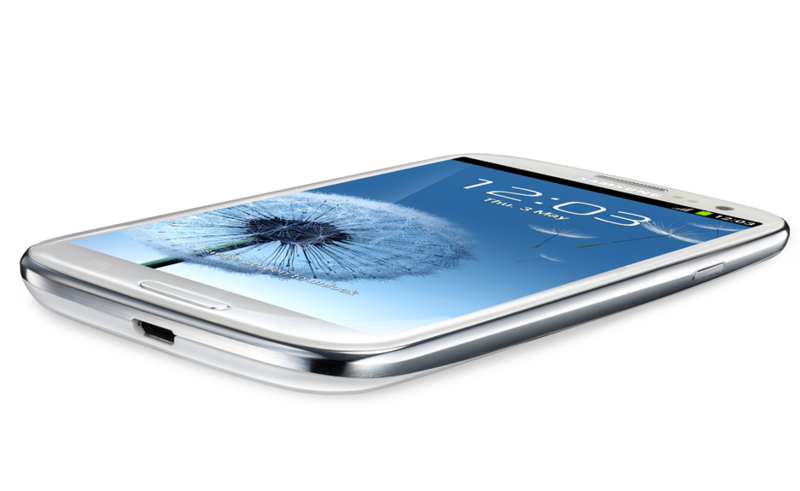 The Samsung UN55D8000 has a beautiful picture quality with an incredible thin display. Anyone who’s been TV shopping recently at their local electronics retailer has undoubtedly seen the Samsung D8000 series at one point. 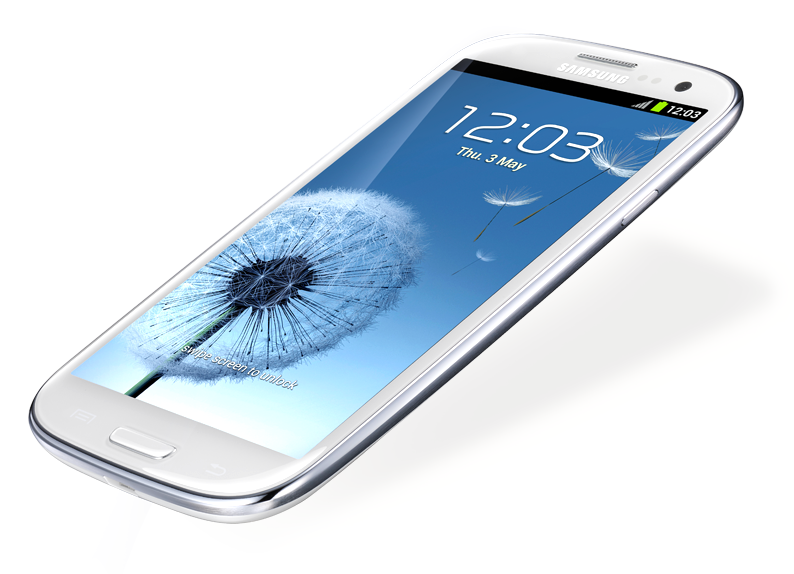 It’s really hard to miss it, considering its almost non-existent bezel display and super thin frame. 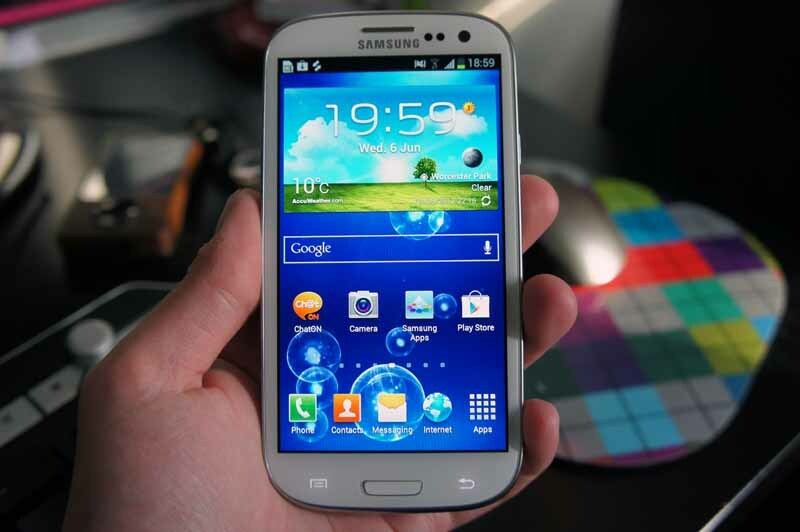 We’ve found that once people lay eyes on the Samsung UN55D8000, it’s really hard to look away. You just get stuck staring at it, probably until your significant other finally finds you and drags you out of the store. The Samsung UN55D8000 weighs in at an impressively light 35 pounds and measures 48.5 x 27.8 x 1.2 inches. Yes, it’s only 1.2 inches deep. There’s not a whole lot to grab onto when you’re pulling this bad boy out of the box so I’d suggest have a friend with you to help get it set up. In addition to the display there is an x-shaped TV stand and a two-sided remote control, and the usual suspects when it comes to paperwork. Lastly, two active 3D glasses are included as well. Putting it all together with the stand is fairly straight forward, and we like that the TV sat a lot more securely than many other LED TVs we’ve seen. The only real downside is that the actual look of the stand is not on par with the rest of the TV in terms of quality and aesthetic appeal. The stand tries to copy the chrome bezel appearance, but while the bezel of the TV is made of solid looking and feeling metal, the stand has a kind of cheap plastic feel with a low quality chrome finish. The bezel itself is a whole lot smaller that it looks online and in commercials. We had already taken a look a quite a few reviews online with plenty of photos, so we had an idea of what to expect. But when we finally came around to seeing it for ourselves, it was just unbelievable how crazy thin the bezel actually looked. It looks very nice even on its own, without turning anything on. But of course when we finally fired it up the added effect of the picture took the experience to all new heights. 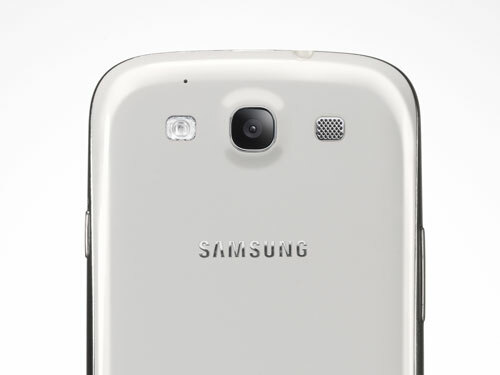 The wafer-thin bezel has an illuminated Samsung badge on the bottom center of the set. The badge is extremely bright on its default setting, somewhat unsettling because of the bezel’s overall subtlety. But luckily this light setting can be adjusted to be a whole lot dimmer (we went a step further and just turned it off entirely). One of the biggest drawbacks to making such a thin HDTV is that you basically run out of room to put the essential inputs. You have only a very shallow inset on the back that accommodates the LED TV’s only bay of inputs and outputs. So for the Samsung UN55D8000, that translates to a little extra work to connect HDMI cables. Even worse, these inputs become even less accessible when wall mounted. That includes the three USB ports which would probably need to be accessed after the set is installed on a wall. 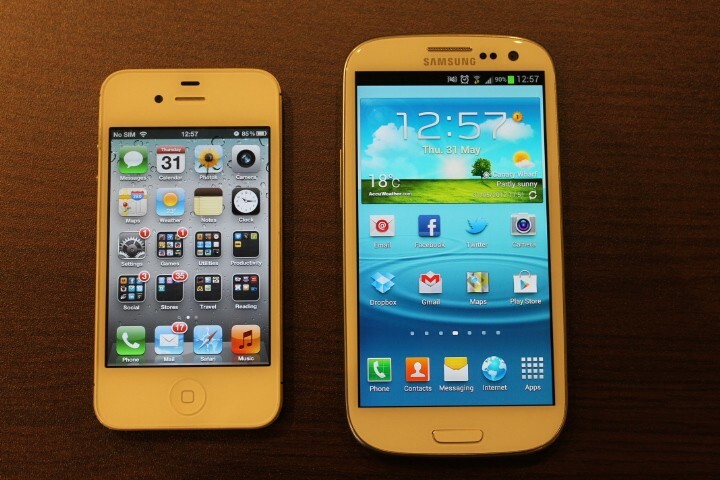 Samsung definitely missed the ball on that note. 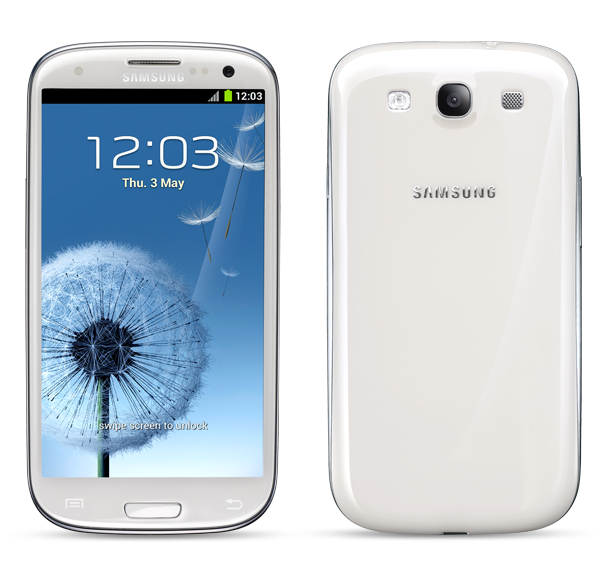 The Samsung UN55D8000 comes with all of the latest technology and features from Samsung. It’s would take way too much time to cover them all, as it’s an article in it of itself, so we’re just going to touch on some of the more important ones. 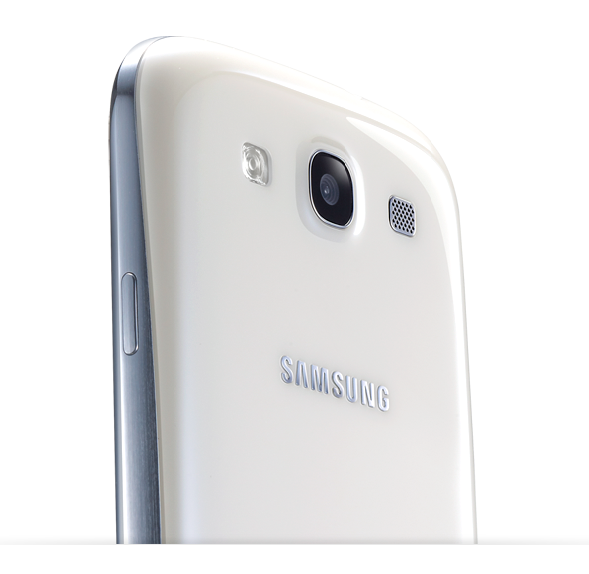 The Micro Dimming Plus feature is Samsung’s main local dimming component. For those of you who are not familiar with local dimming, it lets certain sections of the backlight to be dimmed while others are left to shine at full brightness. This give the display a better contrast and brightness that is most noticeable accompanied by a dark background with bright areas interjected onto the picture. On regular HDTV sets, the area around the brighter spots is gray and even darkish blue instead of black. 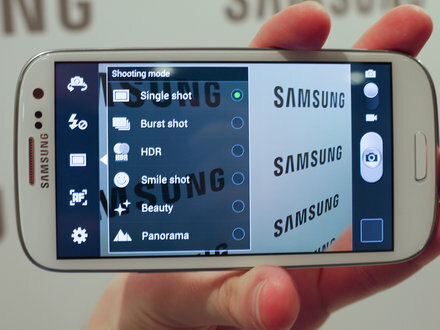 With Samsung’s Micro Dimming Plus, you get a much more accurate picture overall. In this model, Samsung incorporated edge lighting along the left and right sides of the TV display, rather than along the top and bottom edges. This allows letterbox bars to be darker and more uniform. The set has a full 1080p resolution with 3D capability, with a built in 2D to 3D conversion feature. 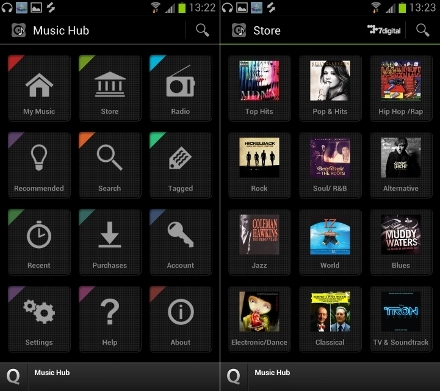 The Smart Hub is an interface for accessing all the internet essentials. With it, you get Netflix, YouTube, Hulu Plus, Facebook, Twitter, and a whole long list of other cool applications with and integrated search engine as well. 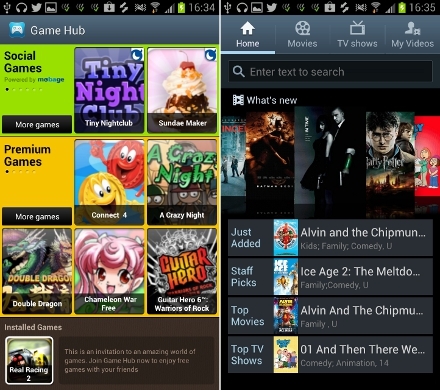 As for DLNA compatibility, AllShare is Samsung’s solution. 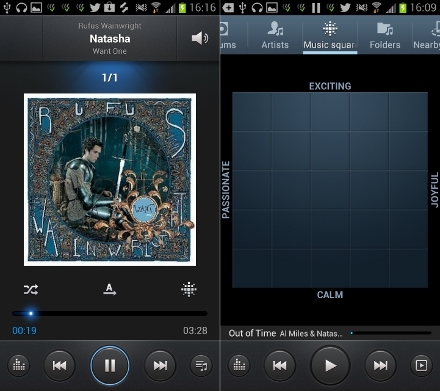 It’s a lot faster and simpler to work with than other DLNA interfaces we’ve seen. 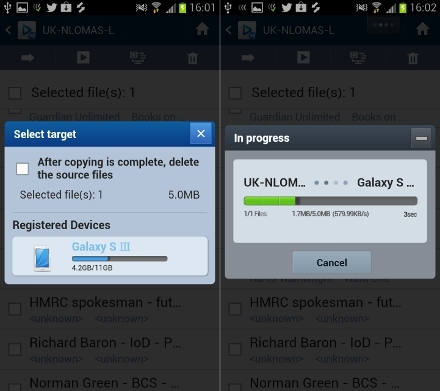 With AllShare, you can stream files over the cloud from devices like your smartphone, tablet, and PC. 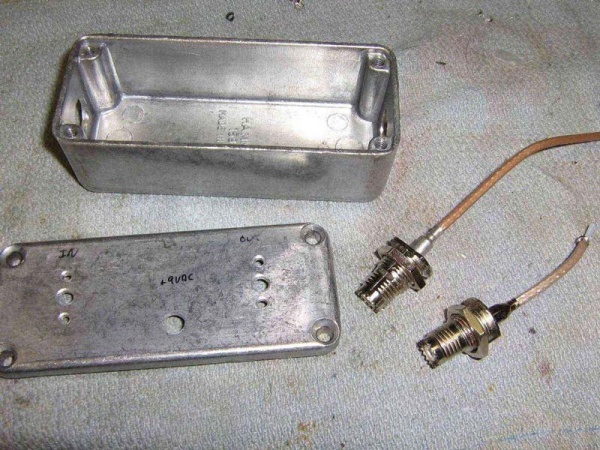 The main thing that got us hooked was how easy it was to use. Trying out our Galaxy Tab as a remote control, we were able to access media not just on the Tab, but from every other DLNA device within the same cloud network. The Samsung UN55D8000 gives you the choice of a wired Ethernet connection through an LAN port or its built-in 802.11b/g/n wireless adapter. 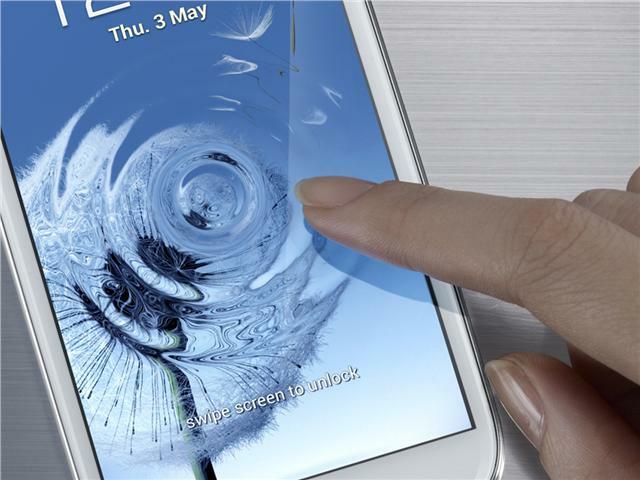 Samsung advertises its “Ultra Clear Panel” as being resistant to the effects of ambient light. In a way, this means that the panel absorbs bright lights in order to minimize wash-out and keep the picture looking super clear. We did get a little light refracted from the windows, but overall Samsung stayed true to its word. 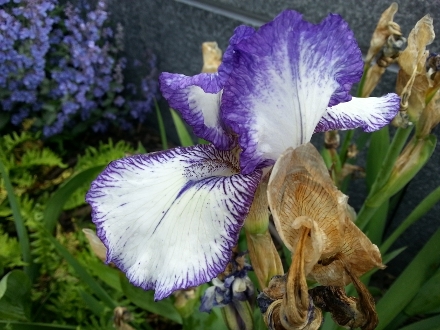 The Samsung UN55D8000 out-of-box picture quality was a little below par we have to admit. But this was easily explained by its default settings. Fortunately, some slight adjustments to brightness and contrast brought it to something really worth seeing for yourselves. Colors were much more accurate, but remained vivid. The balance between brightness and contrast was much improved, as well. With the adjustments finally made, we once again checked out Avatar. We noticed some unbelievable texture detail in the skin of both the humans and the aliens. The film is loaded with all kinds of blues and greens and the set did very well reproducing all of them, catching even the subtlest of hue differences. The foggier scenes went by without any obvious banding, and this is probably the best we’ve seen from any other TV in this respect. Without any additional help from Samsung’s motion smoothing technology, we felt that the motion was both smooth and natural, with hardly any noticeable judder or motion blur. The TV’s Netflix and Hulu Plus media rendering was equally, if not more, impressive. HD versions of some popular TV shows looked incredibly smooth and well resolved – a whole lot better than we’ve seen on any other HDTV. We also really enjoyed the informational interface bar that let us know that we were watching HD or standard definition, depending on our bandwidth at the time. The 3D performance on the Samsung UN55D8000 was very good to say the least. Not too much crosstalk, and the color really came through the tinted, active 3D glasses. The display gave a confirmation with our glasses were connected and let us know that 3D content was sensed. 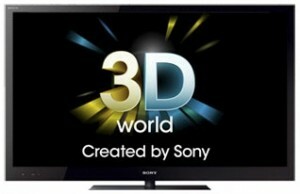 We may not be huge fans of active 3D, but we felt that on this television really provided a picture that was stunning. It just felt a whole lot easier and smoother to watch 3D on this TV. 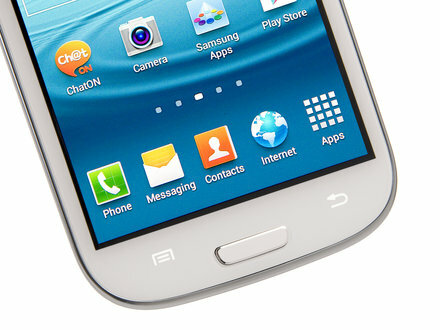 With its super-thin bezel, the Samsung UN55D8000 takes on a window-like quality in its 2D mode. Truly something to just sit back and look at. The Sony Bravia XBR-46HX929 tops our list with near-perfect contrast ratios and color through local LED dimming, making it one of the very best mid-size LCD TVs on the market today. This model features the latest local dimming technology, a feature that attributes to its near-perfect contrast and black levels that can even surpass that of some plasma TVs. Of course, premium technology does mean a hefty premium retail price, but its feature set and sheer performance potential makes the Sony Bravia XBR-46HX929 an extremely attractive option for those looking to get all the cinematic performance of a plasma in an efficient and super-slim LCD sized package. 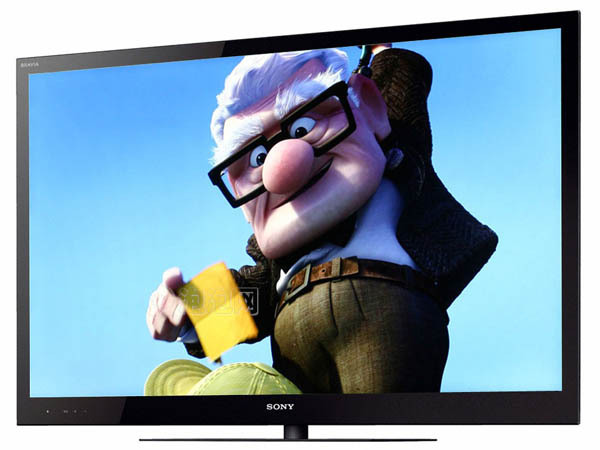 The Sony Bravia XBR-46HX929 comes in a considerably smaller package and weighs in at around 42.8 pounds. With it, you’ll be getting the display, a stand, a component video/AV dongle, power cord and the usual bells and whistles of user manuals and paperwork. Putting the display and stand together was no major project at all, although the overall stability of the final product was a bit less than we had hoped for. The display for this model is simply incredible. The bezel may have been a bit thicker than the Samsung, but there was something inexplicably attractive about the way the glass panel merged with the edging into one seamless piece, keeping its surface utterly flat for a final product that’s seemingly edgeless. Apart from its barely noticeable status LEDs, only the Sony logo breaks up an otherwise flawless front surface. The rear to the display is almost as flat as the front, save for an RS-232 box that adds a little unnecessary depth to the set. As for its connectivity, Sony got it all right. We were able to find two USB ports, four HDMI inputs, PC video and audio inputs coaxial cable input, and Ethernet jack, optical digital audio output, headphone output and a space to connect the provided dongle for old-school component video and composite jacks, should you want those connections. 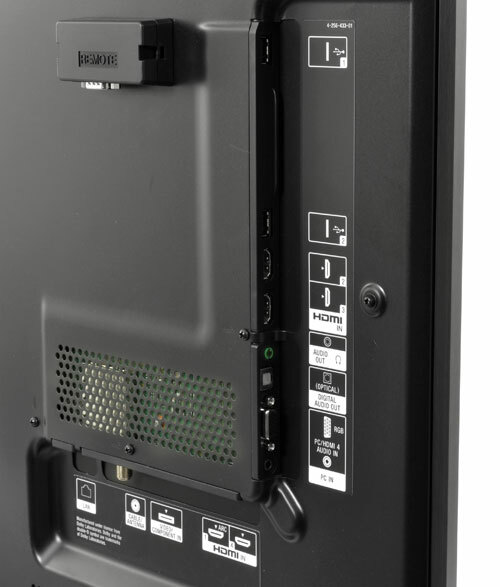 All of the inputs are split up between the lower back portion of the back panel and the upper left side for a those discreet cable connections for easy access. Within it, Sony has packed a whole bunch of extras as well as suite of Internet content applications. 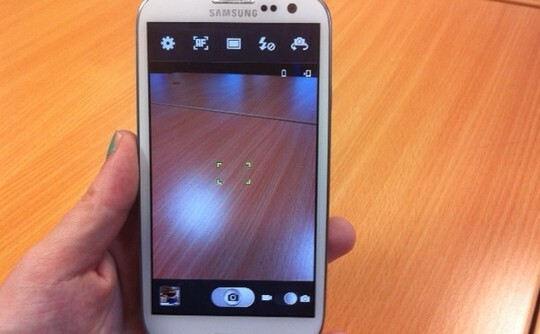 We really love the presence sensor, which uses a built-in camera to monitor the room for any subtle movement. If there isn’t any sort of movement for a specified duration, the display turns off. It also displays a big warning sign if someone gets to close for safe viewing. That same sensor works with the TV’s optional ambience sensor to modify the brightness according to lighting conditions and can adjust picture based on viewer position in the room as well. 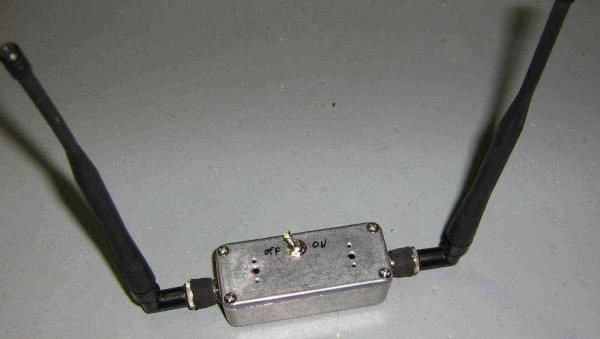 As for internet content, Sony offers built-in Wi-Fi to get at them if an Ethernet cable isn’t available. Netflix, Amazon VOD, YouTube, Hulu Plus, Pandora – just to name a few. 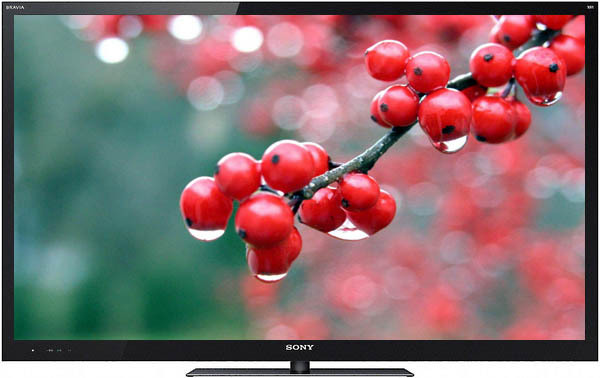 We also really enjoy the remote control Sony offers with its series of TVs. A power button located a third of the way up on the back of the remote is actually a really nice touch, as is the large navigation wheel near the front. 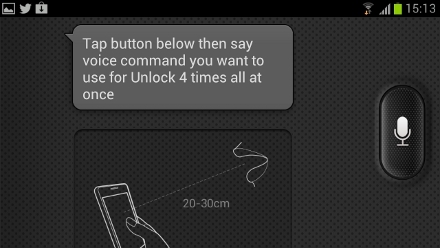 Most of the critical buttons are illuminated by the remote’s blue back light, but the button that launches the back light isn’t ergonomically placed to be honest. Although you can view full 3D picture at its 1080p resolution, the active-shutter glasses needed to enjoy it are not included. At its retail asking price, we really would have expected to see at least a pair included, maybe even as a promotional gift in the very least, but for now, expect to dish out about 70 bucks a pair. But on the plus side, the glasses are USB rechargeable much like the Sony PS3 controllers. For video content review, we stuck with our trusty Avatar Blu-Ray, but we also spent quite a bit of time streaming YouTube and Netflix videos, as well as video and music stored on a networked computer. We spent enough time calibrating to come to the conclusion that the Sony Bravia XBR-46HX929 performs extremely well right out of the box, although is standard picture setting was a little on the brighter side and colors were a bit intense. We did find that the display’s cinema setting offered a more natural picture very close to our own manual calibration, but we found ourselves actually preferring some of the TV’s brighter settings during out tests in rooms with lots of windows and sun exposure. In a nutshell, the Sony Bravia XBR-46HX929 offers one of the best picture qualities we’ve ever laid eyes on. The black levels on this model are unbelievable, as was its high contrast ratio. 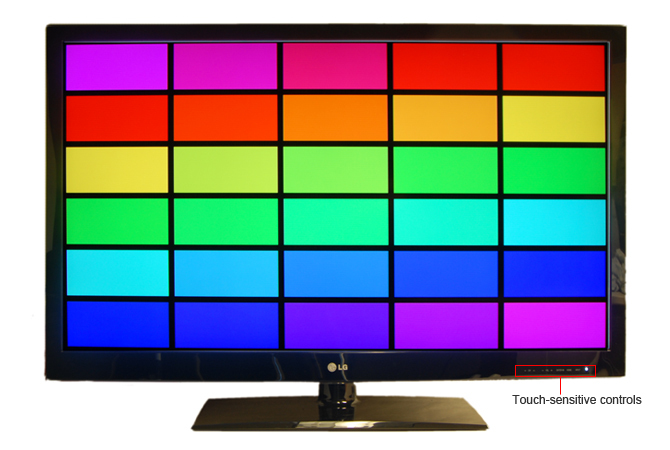 Color accuracy was a close to flawless as possible in today’s market, pulling off the smallest fine graduations between oranges and browns in some of our usual testing materials that we’ve never noticed on any other LED TV before. We also found the reds on this display to be some of the very best we’ve ever laid eyes on, surpassing that of many high-end plasma TVs as well. We spent hours on this Sony model and were consistently impressed by how engaging and aesthetically satisfying picture quality was. 3D performance was something to marvel at as well. Where we would usually notice some flicker other 3D systems that rely on active shutter glasses, the Sony Bravia XBR-46HX929 remained flicker free and the image, beyond the eye-popping 3D, was still razor sharp with excellent color and contrast. We usually work pretty fast through some of our previous 3D evaluations, but we actually very much enjoyed the effect this time and found ourselves lingering on Avatar 3D a little longer than we had to. 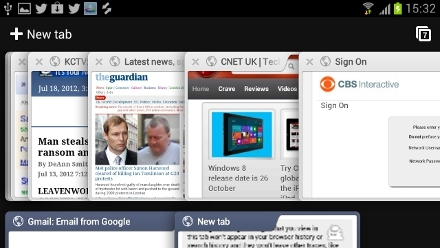 The popular open-source browser Firefox is awesome right when you download it. And by adding some of the awesome addons available for it, Mozilla Firefox just gets more and more appealing. But when you look under the hood, and there are a number of hidden tips and tricks available that will crank the browser up for you – making it faster, easier, and more efficient to use. 1. 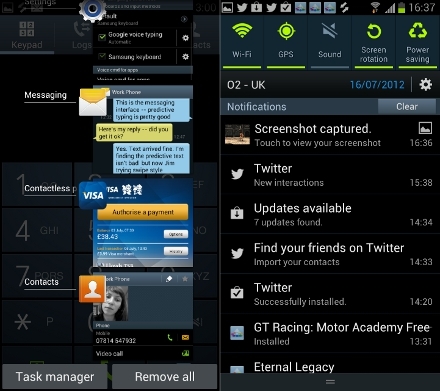 Add more screen space by making you icons smaller – Go to View >> Toolbars >> Customize and check the “Use small icons” box. 2. Use Smart Keywords – If there is a search term you enter a lot, this is a great tool that not many people take advantage of. Visit your favorite search engine, then right-click on the search box. Select “Add a Keyword for this search” give the keyword a name and an easy-to-type and easy-to-remember shortcut name and save it. 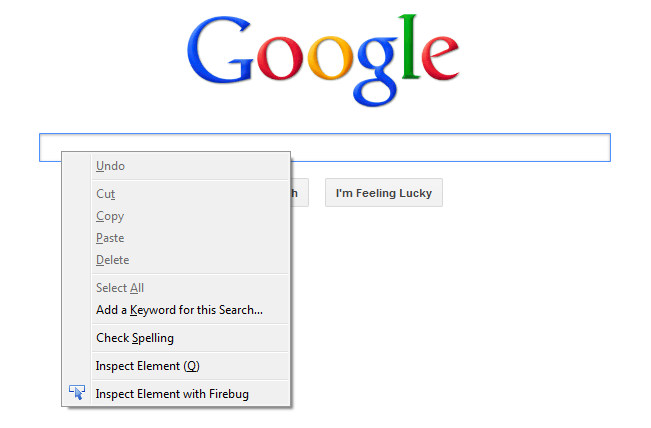 Now, when you want to do a search for that term, go to Firefox’s address bar, type the keyword and press return. Instant search! You can do this with any search engine. 3. Keyboard shortcuts – It may take a little bit of time to master all of these, but as soon as you do, your browsing will be a lot faster – not to mention you won’t have to use a mouse anymore. 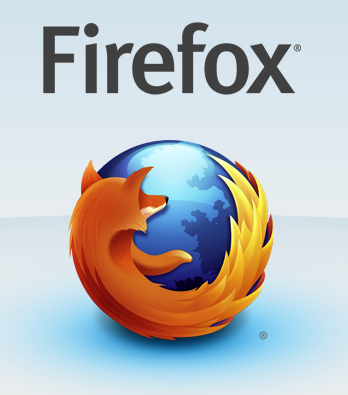 Here are some of the most popular keyboard shortcuts for Firefox. 4. 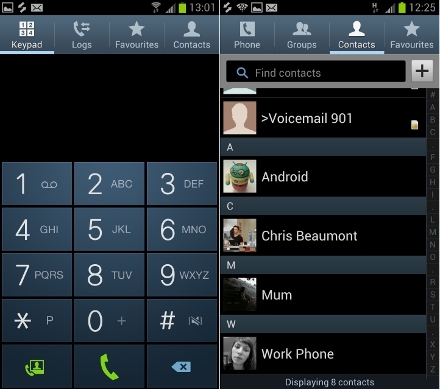 Auto complete – Here’s another keyboard shortcut, but less known and even more useful. Go to the address bar (Control-L) and type the name of the website without the “www” or the “.com” Let’s say “google”. 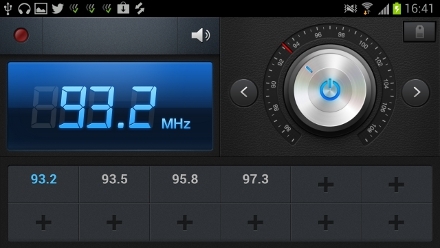 Then press Control-Enter, and it will automatically fill in the “www” and the “.com” and take you there – like magic! For .net addresses, press Shift-Enter, and for .org addresses, press Control-Shift-Enter. 7. Delete items from address bar history – Mozilla Firefox’s ability to automatically show previous URLs you’ve visited, as you type, in the address bar’s drop-down history menu is very cool. But sometimes you just don’t want those URLs to show up. Go to the address bar (Ctrl-L), start typing an address, and the drop-down menu will appear with the URLs of pages you’ve visited with those letters in them. Use the down-arrow to go down to a web address you want to delete, and press the Delete key to make it gone for good. 8. 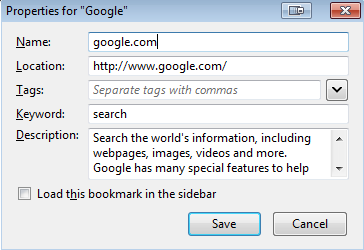 Add a keyword for a bookmark – Go to your bookmarks a whole lot faster by giving them keywords. Right-click the bookmark and then select Properties. Put a short keyword in the keyword field, save it, and now you can type that keyword in the address bar and it will immediately go to that bookmark. Set “network.http.pipelining.maxrequests” to a number like 30. This will allow it to make 30 requests at once. 10. Limit RAM usage – If Firefox is taking up too much of the memory on your computer, you can limit the amount of RAM it is allowed to use. Go to about:config, filter “browser.cache” and select “browser.cache.disk.capacity”. It’s set to 50000, but you can lower it, depending on how much memory you have. Try 15000 if you have between 512MB and 1GB ram. You can also reduce RAM usage even further for when Firefox is minimized. This setting will move Firefox to your hard drive when you minimize it, taking up much less memory. And there is no noticeable difference in speed when you restore Firefox, so it’s definitely worth a go. Again, go to about:config, right-click anywhere and select New-> Boolean. Name it “config.trim_on_minimize” and set it to TRUE. You have to restart Firefox for these settings to take effect. 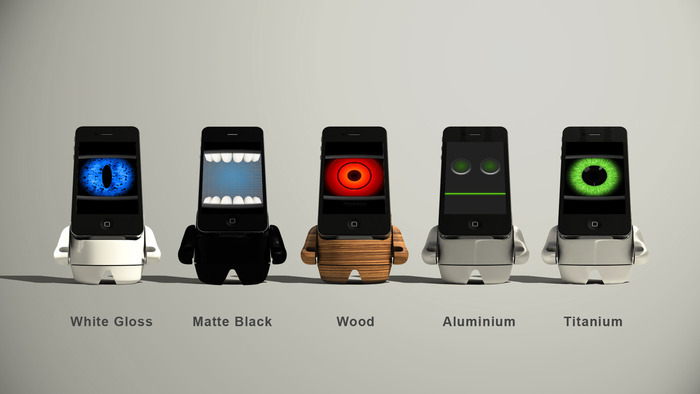 Designer Mark Solomon has created a unique character dock for an iPhone, iPad or iTouch called the Moboto. 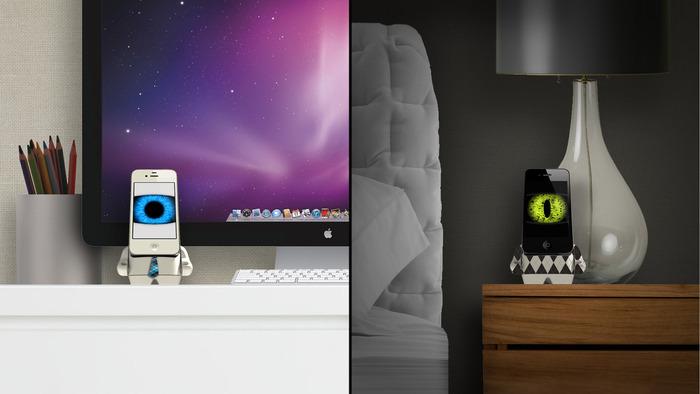 The Moboto comes with a number of fittings that allow you to customize your dock to your liking. 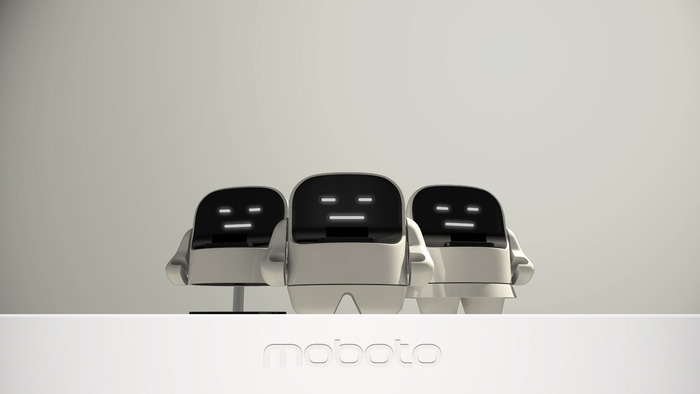 In addition, the Moboto incorporates a number of iOS personas that allows you to choose the look and personality of your Moboto. These “APPersonas” constantly gather information from phone sensors and web data and communicates visually or verbally to you through an array of fun images and behaviors. 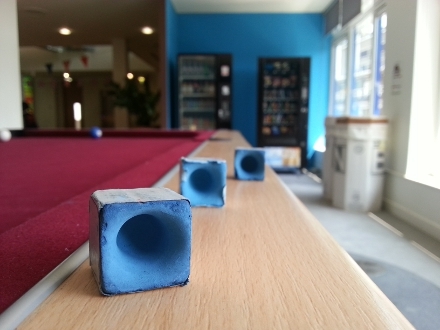 It also interacts with its surroundings through its sensors to make it a fun, yet informational experience. Mark designed the different elements of the display to subtly show information such as the time, the battery percentage, or the weather. 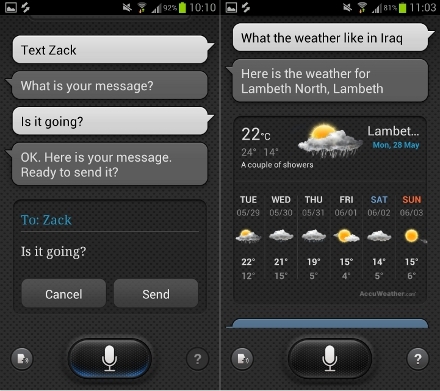 Moboto also can talk to you or lip-sync to a song if you want. 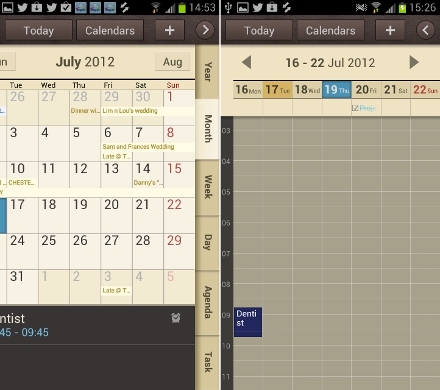 This is operated in the form of a Moboto App. 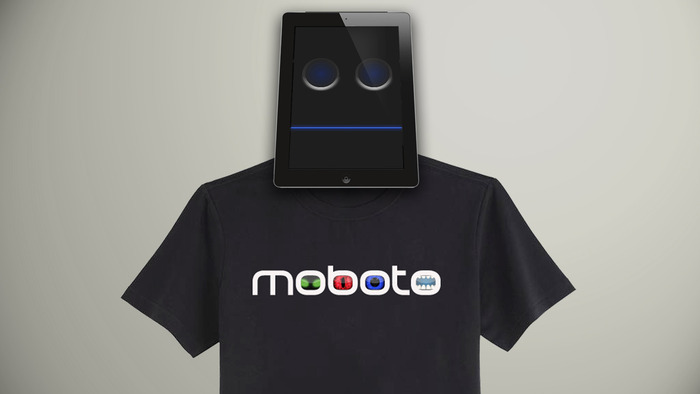 You can download the Moboto App for free on the App Store. 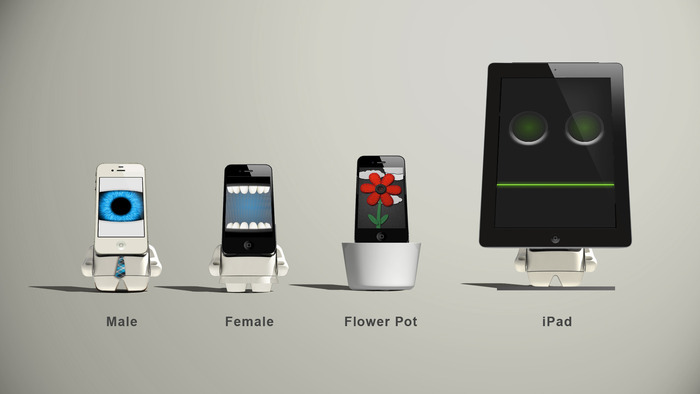 It will provide personas for the Eye/Mouth, Flower and Face moving images you can see in the video. Future updates will continue to provide free and paid personas and features. 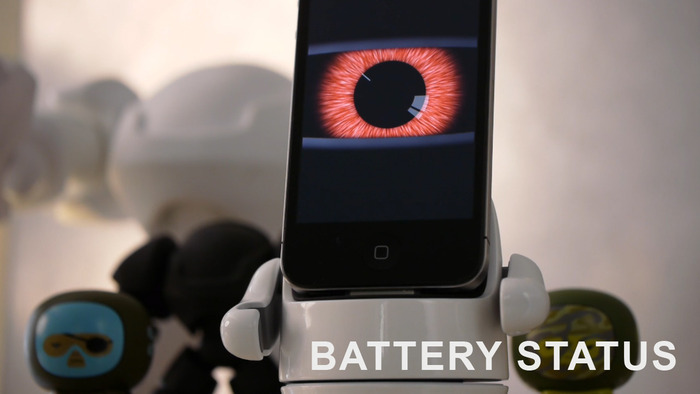 The Moboto also features a swivel connector that will allow most iPhone cases to fit perfectly. Moboto comes with USB Micro to USB A cord to plug into wall or computer to charge as well as a Line Out for Audio. You can customize various skins, as well as the actual dock itself, which comes apart into two separate pieces. 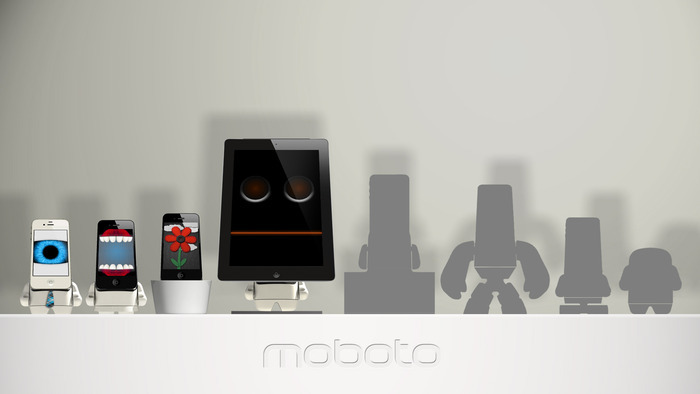 The Moboto is designed so that it’s easy to swap parts to customize the product to your liking. 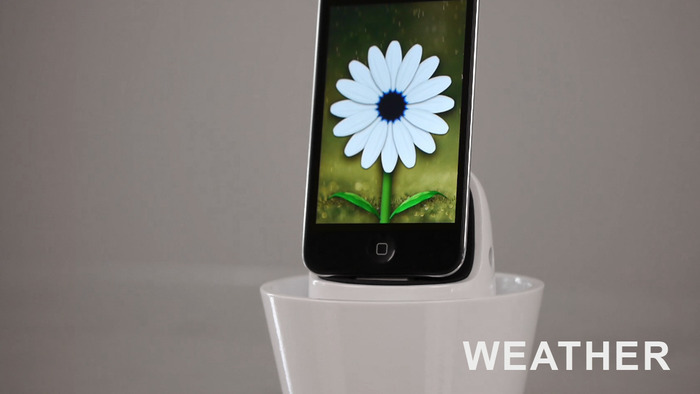 These interchangeable parts–the base of the dock and the top portion that connects to your iPhone–use a simple twist-to-lock design. Solomon plans to release the CAD files required to recreate the twist-to-lock mechanism to the community, so if you have your own 3D printer, you’ll be able to print your own bases for the Moboto. They are also looking to release after launch tools to create some of your own personas and other software features. 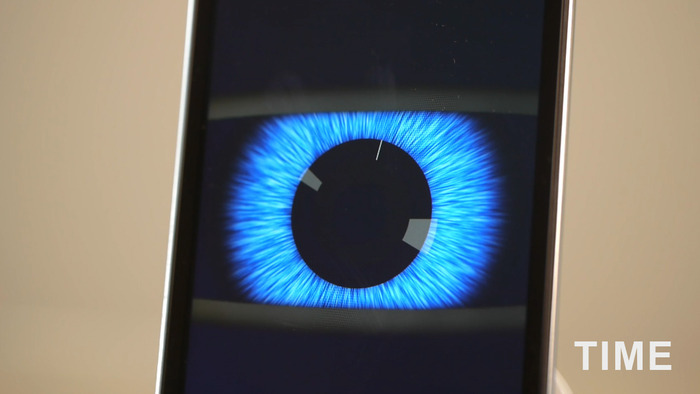 Solomon wants to bring this product to the iPhone, iPad, and iTouch with the initial launch, but eventually to the Android and Windows smartphones as well. As of right now, you can get one of these cool persona docks for a $35 pledge to Solomon’s kickstarter page, but there are a huge range of rewards for different pledge levels. So if you think it is something you could benefit from, jump over to the Kickstarter website now to make a pledge and help it become a reality. With their new robotic lawn mower, Bosch wants you to put your feet up while a small, green robot does all the hard yard work. The German multinational engineering and electronics company, Bosch, has developed a more intelligent and efficient way of mowing the front lawn. This robotic electric lawn mower will mow a lawn without the need for direct supervision. The Bosch Indego is said to cut up to 1,000 square meters at a time, (approx a quarter of an acre). Using the provided wiring, the owner must define the perimeter of the lawn in order to help the Indego understand the boundaries of the given property. The robotic lawn mower is programmed to automatically avoid obstacles it may encounter along its path such as large rocks, sprinklers, lawn decorations, toys left out by kids and other obtrusive objects. The Bosch Indego then automatically figures out how to adjust its mowing pattern in order to avoid these obtrusions. The electric lawn mower can cover roughly 200 square meters every 20 minutes. Once it’s low on electrical energy, the Bosch Indego will automatically return to its charging pad and begin recharging its lithium-ion battery. After spending and hour and a half to recharge the battery, the mower returns to the process of mowing the lawn. Using the charging pad as its initial navigation point, the mower returns to the exact spot where it stopped mowing and cuts the lawn in straight lines to avoid missing any small patches of grass. According to the German engineering company, this method of cutting the grass is four times more effective than any other robotic lawn mower. By contrast, some other robotic mowers move more or less randomly all over the place, the idea being that they’ll eventually get the whole lawn done. The Bosch Indego is also able to sense “no-mow” surfaces such as gravel, pavement, and tile while other automatic electric mowers must be programmed with the location of such areas, or require them to be cordoned off with wire. In addition to its quiet, linear operation, the Bosch Indego mulches grass clippings during the process and does not expel harmful exhaust like the traditional gasoline-powered mower. The Indego can be set to automatically head out on its lawn-cutting duties every other day or as often as the owner wishes. Should anyone try and steal your automatic electric mower off its charging station or during operation, the Bosch Indego has a built-in alarm that will sound if it is moved a significant distance from its charging pad. Its alarm code can be updated on the internet, should you need to legitimately move it to another home. According to estimates from Bosch, the Indego electric lawn mower is ten times cheaper to operate than a standard gasoline-powered mower. However, the extremely expensive $2,040 price tag will definitely turn people away for the near future. The robotic lawn mower will be sold within northern Europe during 2012 and expand to larger markets over 2013. 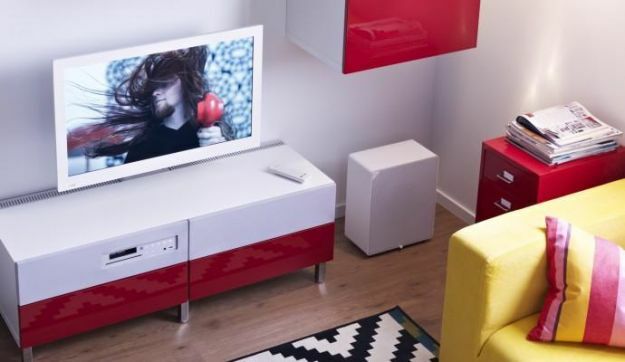 As IKEA’s Uppleva TV and Blu-ray cabinet hits its retail stores in Europe, an early review by Sweden’s largest tech publication reveals a much more underwhelming regard towards the product. The much anticipated IKEA Uppleva Home Entertainment system has finally hit its furniture stores, although for now you’ll have to stop by Sweden if you want to get one. 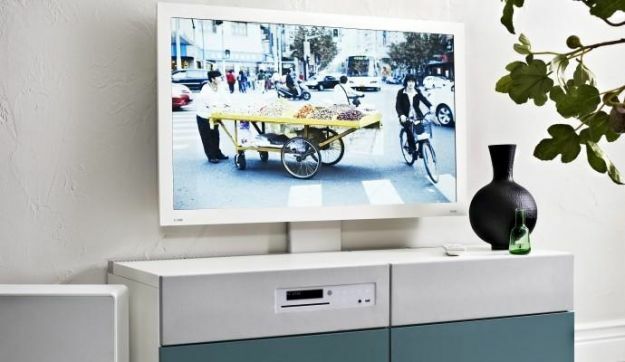 The IKEA Uppleva TV/Blu-ray player/cabinet combo multimedia furniture device was first eagerly announced back in April of this year, and went on sale in its Stockholm, Sweden store just last week. Other IKEA stores across Europe will start selling the furniture tech hybrid sometime next month; enthusiastic consumers in the US will have to wait a bit longer I’m afraid. The IKEA Uppleva will not be on sale until later next year. The IKEA Uppleva caught the eye of many people when it was first announced a few months back, and not only because it was the furniture company’s first emergence into the multimedia home entertainment market. It’s sleek, modern design made well known by IKEA’s designers and its all-in-one approach (hiding those messy cables) also left consumers impressed. 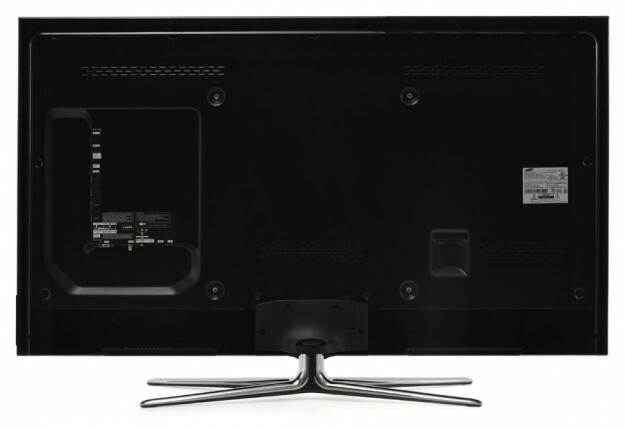 IKEA’s new widescreen TV set is available in three sizes – 24”, 32” and 46” has an LED, full HD 1080p display; come with MP#, DivX HD and JPEG file compatibility; and contains a number of HDMI and USB ports, depending on its screen size. The Uppleva will also come with a Blu-ray player and will incorporate a complete 2.1 sound system. 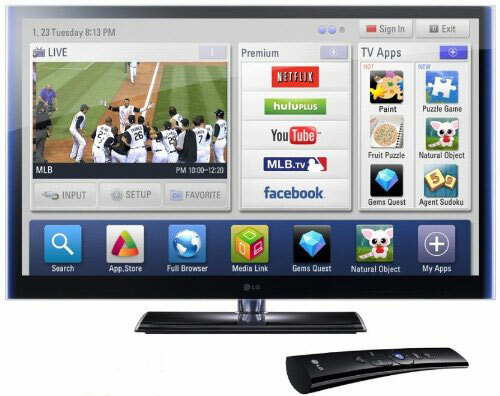 The TV includes an array of custom multimedia apps including YouTube and Vimeo. 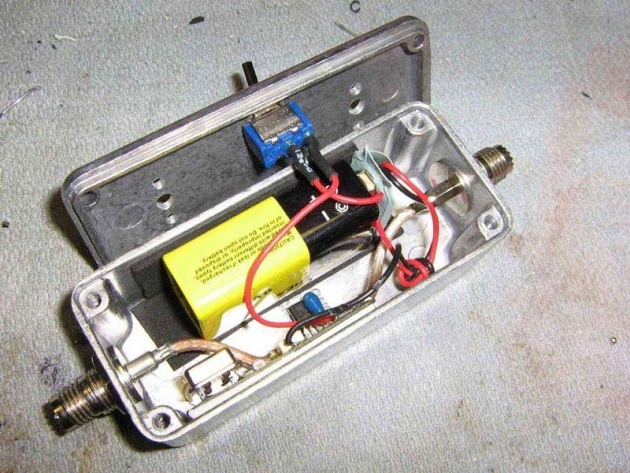 In total this bad boy will cost your right around $1000. In addition, the Swedish International Furniture company has also revealed an 8GB flash drive that will allow users to record all their favorite TV shows, allowing them the opportunity to rewind and fast forward live television programs. Unfortunately for IKEA, a recent review of the Uppleva by the well-known Swedish publication M3 has released a less than favorable review of the much anticipated all-in-one home entertainment system. Sweden’s biggest consumer electronics magazine was a bit critical of IKEA’s new offering, comparing elements of its picture to that of low budget TVs from LG and Samsung. M3 also shared concerns about the high level of noise in the picture. The interface for operating the TV also received a big thumbs-down, though as M3 pointed out, this could be easily remedied through a software update. 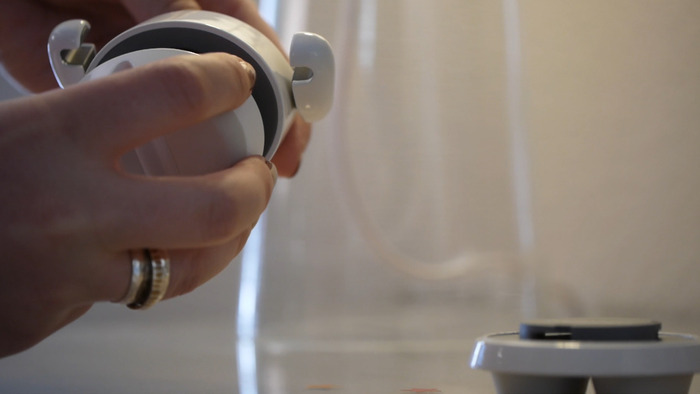 Overall IKEA’s Uppleva received an underwhelming 5 out of 10 from the Swedish tech publication. On the bright side however, M3 editor Andreas Ivarsson was able to find a few positives, describing the sound system as “very good” and the furniture as “stylish”. 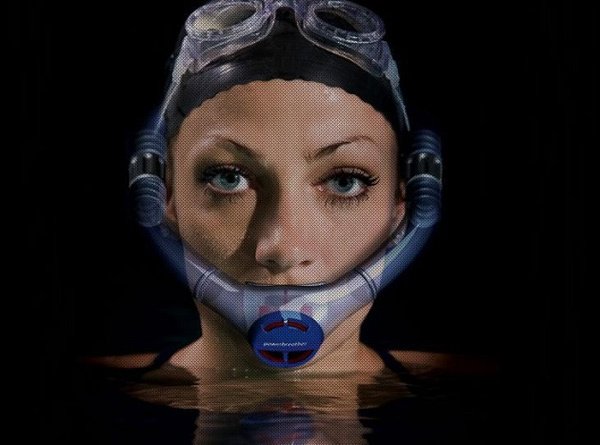 Swim, snorkel, and train freely without worrying about turning your head with the Powerbreather. Swimming is an excellent cardiovascular exercise, but many people stay away from it because of the lack of constant breaths of air and the fear of drowning. Forcing yourself to turn your head above the water during sidestrokes can feel unnatural, and if done incorrectly, can cause serious neck pain. When you use snorkels to help you breathe underwater, you have to keep your head straight so water doesn’t get inside the tube. But with the new Powerbreather, you no longer have to worry about any of these issues. The German product aims to be the “future in swimming,” as the Powerbreather wraps around your head with the air valve at the very top. This eliminates your need to run your head when you swim, and allows you to keep your face underwater and still receive fresh air. The circular shape of this revolutionary snorkel removes spent air by breathing out of the mouthpiece and also keeps water from coming in. This valve technology of the Powerbreather makes it possible that only fresh air is ever inhaled. According to its German-based designer, air is inhaled through the upper section behind the head which is equipped with a check valve and is fully exhaled through a check valve located in the mouthpiece. The elastic material of the Powerbreather ensures the device stays securely on your head and in place. 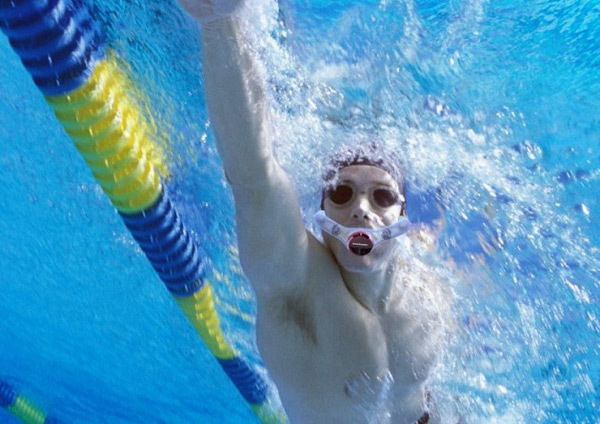 Amateur swimmers as well as seasoned professional athletes can focus on their speed and power without worrying about their head placement and swim freely. A prototype of the Powerbreather was shown at ISPO Brandnew 2012, held at the Messe Munchen International Trade Fair. “Even older people, professional swimmers and anyone undertaking swimming training can train with the Powerbreather in a much more relaxed and effective way,” the product page states. Now, your neck muscles won’t ache either as you continuously train. The Powerbreather eliminates orthopedic muscle imbalances and ensures balanced muscle development on the left and right side of the body. 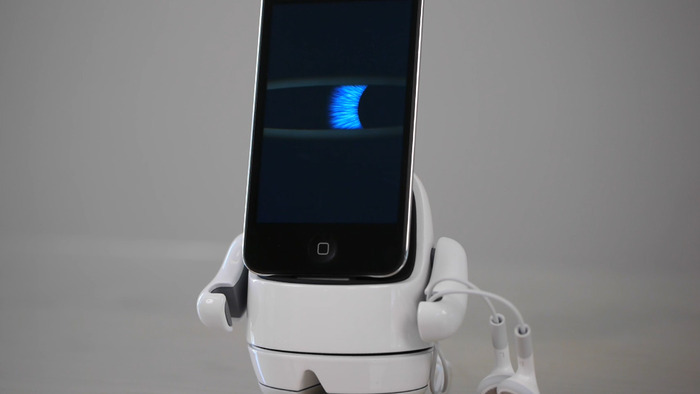 Its designers said that professional swimmers and even children can benefit from the device. If this is indeed what it is as promised, those who are still learning to swim will never have to accidentally swallow water anymore. The Powerbreather was a finalist in the Accessories category at the 2012 ISPO Brandnew awards in innovations for sporting goods. While no pricing and sales information are currently available, we do anticipate the product to hit the market relatively soon since it does say that the design has been “patented worldwide”. For information, contact Powerbreather directly via its official website. F.lux adjusts your desktop/laptop computer screen to fit the lighting in the room you’re in. When the sun goes down, it makes your computer look like your indoor lights. During the day, it adjusts itself to the light intensity of the sunlight again. This small, clever software program chance the color of your computer screen from its natural glow to an artificial lighting that correspond to the hours of the day – helping you sleep better. F.lux even adjusts to your exact location on Earth! 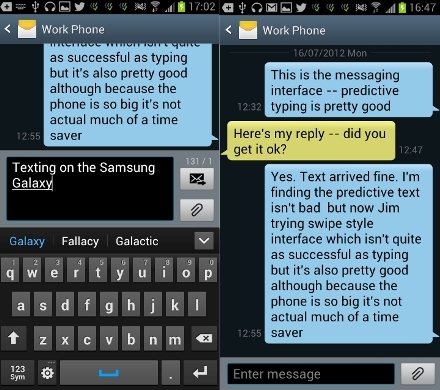 I was introduced to F.lux via blogger recommendation. Even though my sources were reliable, I was still kind of skeptical considering I didn’t really understand much of the purpose of this software, so it stayed on the backburner for a while. I work at all hours of the night, (and recently a lot of that time has been dedicated to playing Diablo III), so I eventually got around to trying F.lux out. 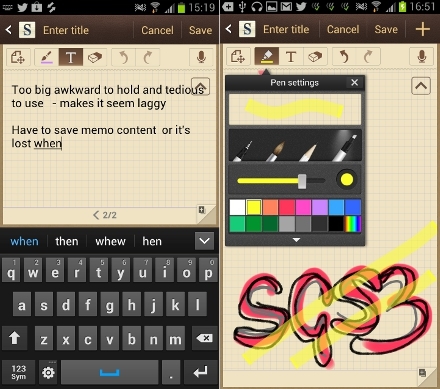 There aren’t any snapshots letting you know what exactly F.lux looks like in action. (As in comparison photos, settings etc.) So it all came down to giving it a hands on try because there really was no other way around it. The computer screen transition basically work a lot like when you change the temperature of a photo in an image editing software like Photoshop or Aperture. 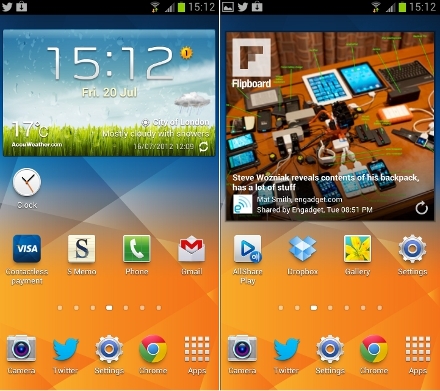 Computer screens are designed to look very vivid, bright and crisp – a lot like the sun. When it gets to the wee hours of the night however, looking at the sun isn’t exactly the best thing for your eyes. F.lux understands these time changes and adjusts the temperature of the screen to warmer hues as it gets late, with the resulting color looking a lot more like natural lighting instead of the bright sun glaring at you, irritating your eyes. It really does make those bright screens a lot more bearable by changing the brightness levels throughout the day/night. In F.lux, the temperature of a color is measured in Kelvins. Average LED flat screen monitors rack up about 6500K. The lower the Kelvin, the warmer the color temperature, and vice versa. Studies show that those subjected to lower (yet hotter) color temperatures before sleeping in an equally lit room had better sleep than those subject to cooler temperature colors. To get F.lux to work according to your specific location, you’ll need to enter your current longitude and latitude, and it will set the correct settings. To help you, F.lux has its very own locator button, that directs you to their website where you can enter your address and it will return your approximate longitude and latitude in unison with Google maps. When you first install F.lux, its default transition speed will be set to fast. This will change the color from day to night in 20 seconds. Personally, I liked the gradual transition speed, of 60 minutes, which runs and looks a whole lot smoother to me. You can also disable F.lux for up to 1 hour at a time if you have to do some more color sensitive work for any given night. In conclusion, F.lux is one of those applications that once you start using, you just can’t see yourself doing without it. Turning it off will make you seem like a vampire exposed to light – seriously. People who use laptops and desktops during the late, late night hours will definitely benefit from using F.lux.